First, cook your pasta according to the directions on the box. You can cook your mixed vegetables at this time as well. Once the pasta is cooked, drain off the excess water. 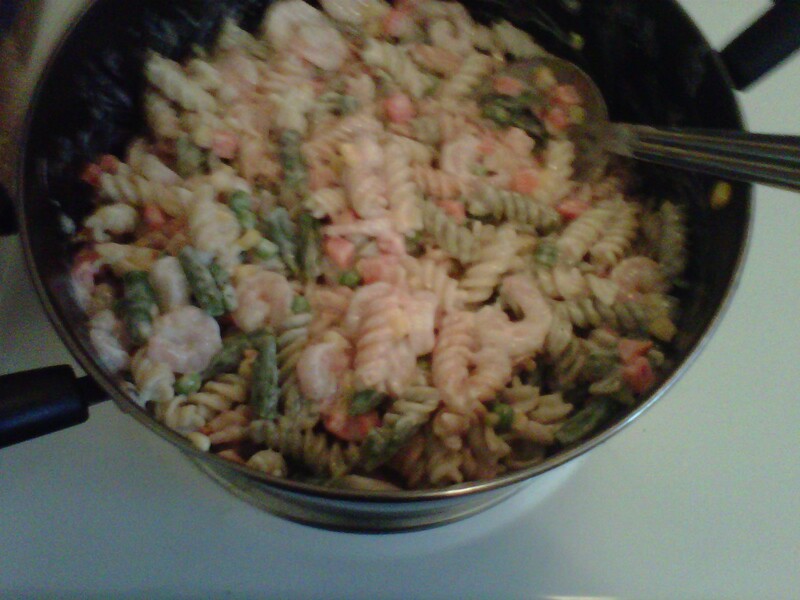 Return the pasta to the pot that you cooked it in, add the mixed vegetables, shrimp and finally the alfredo sauce. Stir and season with pepper.